Our office has a variety of methods to adjust that meet the particular needs of each patient. To help as many families in our community obtain and maintain their health naturally with chiropractic; delivered with loving and caring service and always with our patients' best interest in mind. From infants to seniors chiropractic is a drug less and preventative approach to good health. Our office utilizes gentle, low force techniques. The chiropractic profession specializes in natural and preventative care. Our approach to better health is to detect, reduce, and prevent nervous system dysfunction (subluxation). 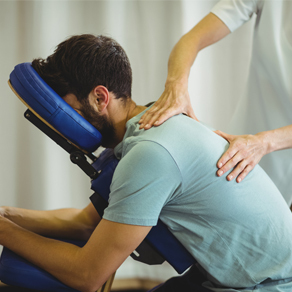 Chiropractic has helped millions with allergies, arthritis/bursitis, carpal tunnel, disc problems, headaches, ear infections, hip/leg pain, neck pain, painful joints, sciatica, scoliosis, shoulder/arm pain, stress/fatigue, and many other conditions. Go To Our Facebook Page To Read More Reviews! The staff is so friendly and Dr. Janet helped my pain and put a smile on face. Not all hero's wear capes! Professional and clean pleasant office. Dr. Cook is wonderful. Very Friendly staff. Hands down, the best office around!